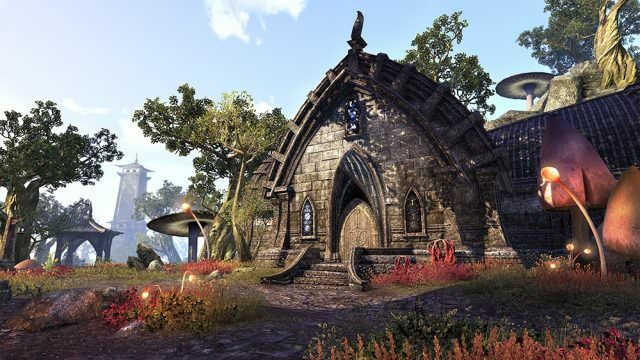 With the release of Update 13 for Elder Scrolls Online: Tamriel Unlimited, comes the moment many of us have been waiting for…Player Housing! Yes Houses of all shapes, races and sizes have finally arrived. Along with the shiny new Apartments and Houses, comes the addition of Furnishings to flesh out that not-so-humble abode of yours…some houses can cost up to nearly 4 million gold! But, we’ll get to that in a bit. First let’s dive into the details of how it will all work. Check out the video above and read on. Each character (not player) will receive 1 inn-room (of their chosen Alliance) for completing the quest given to them by Canthion the Housing Broker, who is located at specific Banks around Tamriel. After that, each home may be purchased for in game gold or from the Crown Store with gold. Homes will not have any maintenance fees and are yours permanently once purchased, and are shared with other characters on the same account. In order to purchase homes players will need to find their locations across Tamriel, click on the front door and follow the purchasing instructions. Some homes require the player to have completed in game accomplishments; for example, Hero of Daggerfall and Imperial Houses will require the player to own the Imperial Edition or Imperial Edition Upgrade in order to purchase. However, Homes purchased from the Crown Store will bypass all requirements for any Home. Homes have limits on the number of items, collectibles, and visitors that may be present, with larger Homes having higher caps. These numbers will double for players who possess an active ESO Plus membership, providing yet another reason to subscribe to the game. Dueling is allowed inside Homes (except for Apartments and inn-rooms) and Pets, Assistants and Mounts can NOT be summoned inside Homes, but can be placed as decorations. Players will be able to place objects and decorate their Homes via the Housing Editor that is selectable once inside a Home. Items and collectibles placed will be removed from your inventory or bank and will count towards the cap limit of your Home. You can place any object at ANY angle with the only limitations being that you cannot go over the housing cap for your particular Home and there is a small space at the entrance of each Home that will not allow for objects to be placed. 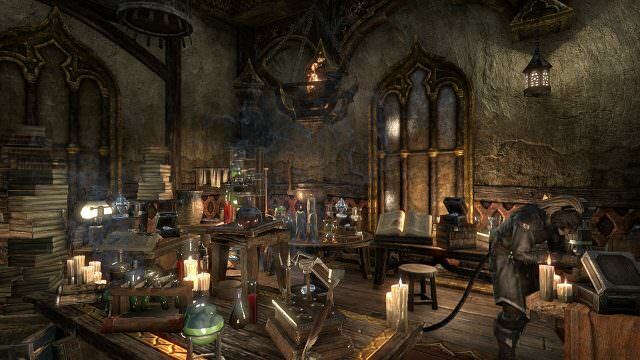 In addition to Furnishing items, you can also place Assistants, Mounts, non-combat Pets, and a new category of furnishing collectibles called Trophies that includes Undaunted Busts inside your Home. There are separate limits for Furnishings, Furnishing Collectibles, and other Collectibles such as Pets or Mounts. Attunable Crafting Stations – which can be activated at any item set crafting station in the world, permanently attuning the station to the unique energies of that item set and binding the station to you. Once attuned, the station can be placed as a furnishing in your home and used by you and your guests to craft items from the set it is attuned to. Unique Objects – such as Dark Anchor Pinions that open and close and dummy Elder Scrolls like the ones you see in Cyrodiil. Players can acquire items to place in their Homes in several ways, one of which is Furniture Crafting, and will be explained later. Another is by purchasing them from Zanil Theran the Luxury Furniture Vendor found in the Hollow City in Coldharbour. He will appear on weekends, similarly to Adhazabi Aba-daro the Golden in Cyrodiil, with a different selection of items each week. 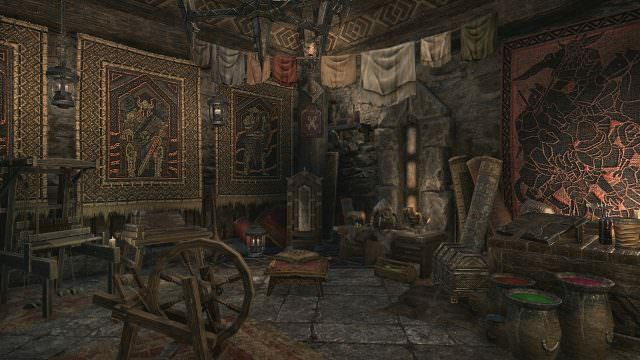 Players can also purchase housing items from Home Goods Furnishers, located in each Alliance’s main city and all Capitals; these vendors will provide a selection of basic furnishings as well as materials to craft from the local region. Undaunted Busts are acquired by defeating the final boss in Veteran Dungeons, Trials and Arenas with 34 in total. Rare furnishing items can also be “caught” while fishing or rewarded by the Shadowy Supplier. Lastly, players can purchase items from the Crown Store, with a few items being Crown Store exclusives. With the addition of housing, so too comes the addition of Furnishings that can be crafted. In order to craft Furnishings players will need to first obtain the required plans and ingredients. Plans can be found in containers, purchased from certain merchants, dropped from monsters, or even acquired from pick pocketing or murdering citizens across Tamriel. Higher quality plans will require knowledge from multiple crafting proficiencies. The new materials and ingredients needed can be found from the same locations that players normally harvest crafting materials from: ore, wood, plants, crates, runes, etc and each crafting proficiency will also have its own set of plans that can be crafted, so everyone will be able to make things for Homes. Home Furnishings will also be craftable in racial styles, but unlike equipment, it will not be required to know the corresponding racial motif to craft a particular style. However, players will still need to have the correct amount of style gems needed in order to craft the Furnishing. In addition, like equipment, higher quality items will often require Tannins, Tempers and Rosins to make, making the demand for these materials soar to an all time high. All plans, ingredients, and output items are tradeable and can be sold or given to other players for their Homes. 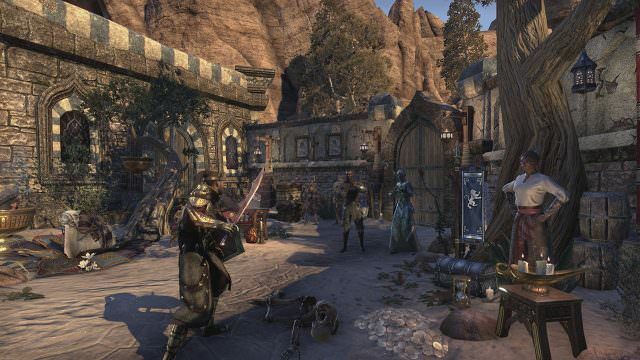 Zenimax has brought a hefty housing feature to players of the Elder Scrolls Online. 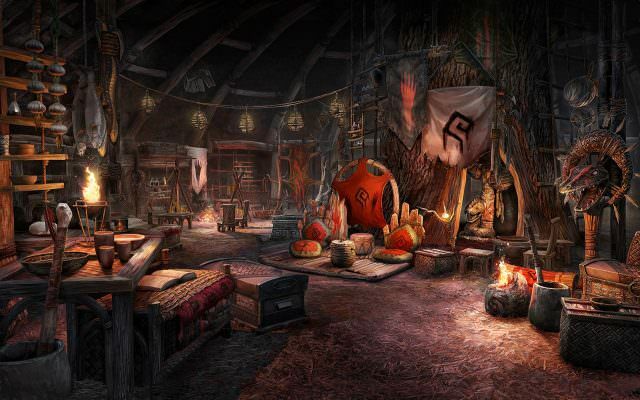 Having a place to call your own may seem like an afterthought or a nice to have, but in an MMO where socializing and collecting of loot and trophies is so paramount, having a place to settle down, gather and display the fruits of your efforts is a gratifying experience that ties it all together. The dizzying amount of options that we have been given, between types of homes, deocrations and furnishings both existing and craftable all combine to create limitless combinations. As a result, no 2 homes will ever be even close to being alike, and in MMOs, being able to express your individuality is an important element. The new year is just beginning and much more is to follow for the game. Here’s to kicking it off with a satisfying unleashing of our inner real estate agents and interior decorators. So, my place or yours? Excellent guide to get us started! I’m hyped for the homestead, and looking forward to placing all crafting stations in easy to access locations so I can do writs and such easily. I hope you could set up a quest board as well.